not just in Berkeley but more importantly, with Constance’s Bus! I know it’s been a while since we’ve popped in to give you updates on our progress with Constance’s bus. Despite our silence, so much has happened in the last few months, so get comfy and prepare for a long and comprehensive update on our journey to construct a sustainable, energy-efficient and functional tiny home for Constance, David, Miracle and Tinkerbell! In January, refreshed and energized from a long winter break, the THIMBY team was ready to go all in. We were equipped with handfuls of documents laying out our plans for the build, budgets, materials and labor force. Our volunteer mechanic gave us the thumbs up after checking the bus. The GoFundMe campaign launched, the articles and videos about us were published, and the push to raise funds and awareness for this project was underway! Almost immediately, we were overwhelmed with the response we received. In the first week alone, we raised nearly $12,000! Once again, everyone at THIMBY would like to give all of the friends, family members and strangers who were moved by Constance’s story to make a donation a huuuuuuge thank you- we really could not do any of this without your generosity and support. After a few weeks, we had enough money and donation commitments (nearly $20K) to ensure that we could go ahead with the build. Just as we had our hopes up and thought we would finally be able to get started after months of planning, the problems started to crop up. One day, as we were driving the bus from the storage site to our build lot, the transmission suddenly locked up and refused to shift into 3rd gear. Our worst fears about the performance of the bus began to arise... But, after months of planning (and re-planning) and designing, we believed in this project too much to turn back. We called up our volunteer mechanics to help us fix the problem. After four frustrating weeks of unreliable assessments, unfulfilled promises, and last-minute delays, the mechanics couldn’t follow through on the timing they had promised-- and we learned the hard lesson that sometimes, mechanics work better when they are payed. By the end of February, we towed the bus to a (paid!) mechanic, where we found out that the fix was going to be much more expensive, and take much more time, than we had expected. This might have been the lowest point we reached since we began Constance’s bus project. There was a real possibility that the bus was dead and our promise to build a tiny house on wheels for this wonderful family would never be fulfilled. It seemed inevitable that we would need to give up and return all of our donors’ money. But pushing these dark thoughts to the back of our minds, we tried to find an alternative solution. We reached out to everyone that we knew, until we finally had the fortune of crossing paths with a local philanthropist who was so inspired by the story of Constance and her children, and the perseverance of the THIMBY team that she decided to back our project and help us with what we needed to make sure these kids have a home! By the end of March, we made a complete 180. The bus is now completely fixed and runs like a charm! Just last week, we broke ground on construction with Billy and the build is on track to finish in time for Constance and her family to move in this summer!!! In recent weeks, some incredible partners have come forward to help us with the project. Just last Friday, the amazing people over at Sunrun hooked us up with some epic solar panels that Shane and Abigail picked up to help power Constance’s bus. Shane and Abigail picking up a truckload of donated solar panels! A big thank you to the awesome guys at Sunrun who hooked us up with these awesome solar panels! Over the past few months, we’ve been tried and tested, but if there’s one thing that this project has taught us so far, it’s the importance of passion and perseverance. No matter how impossible everything seemed at times, we found the power to keep going when we imagined Miracle and David’s reactions when we could finally give them the keys to their new home. Giving up wasn’t an option. While we know that there’s still a lot of work to do and more complications will inevitably arise over the next few weeks, we are ready to face it all— and share all the ups and downs with all of you! Thank you for reading through this long overdue update. Now that the ball is rolling again, we promise to go back to our regularly scheduled updates on the blog, (and Facebook and Instagram!) — but in the meantime, back to the construction site we go! WE HAVE OFFICIALLY LAUNCHED OUR CROWDFUND For Constance’s Bus!! We are so excited to announce the launch of our crowdfund for Constance’s bus! Please donate to our go fund me page and share to everyone you know. Also check out the new sf chronicle article that just came out about us as well. As the craziness of the holiday season finally dies down, we at THIMBY are tackling the new year with enthusiasm to build tiny houses for the homeless. Our Crowdfunding effort is starting off very strong, and we are thrilled to build Constance her home. Looking back, 2018 was a really inspiring and exciting year for all of us, full of new opportunities and fresh faces. We expanded our team to include more people who are passionate about finding sustainable solutions to fight homelessness; met and worked together with inspiring individuals within the tiny house community who have given us valuable advice and guidance; and shared Constance’s story with those both inside and outside of our communities. Your overwhelming response of support and excitement has fueled us, especially Constance and her family. We’ve truly seen how important this project is, not just to one woman and her family, but to the larger community of people who see the importance of ending homelessness. Thank you so much for your continued interest in Constance’s story and support for THIMBY! All of us at THIMBY wish you a wonderful year of health, happiness and tiny homes for all! As many of you have heard, seen and experienced for yourselves over the past few days, California is burning with raging wildfires all around the state. Between the loss of life, the vast destruction of property and the deterioration of air quality, this year’s fires are some of the worst in our lifetimes. And although it is inconvenient for us UC Berkeley students when events like the Big Game are cancelled and we are forced to stay indoors, we often forget how much worse it is for the homeless and most vulnerable in our community that have no where to seek refuge. 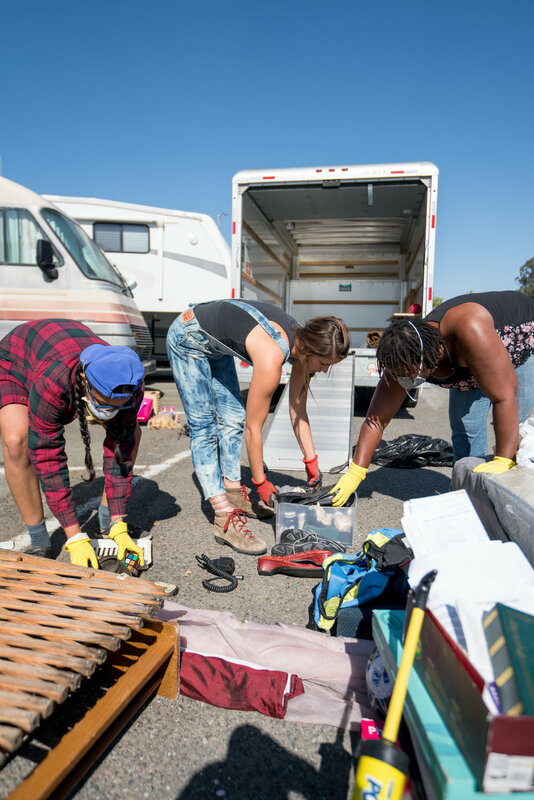 GRIP, the local nonprofit that we are working with, has faced a massive surge in the numbers of people seeking aid and shelter due to the fires. 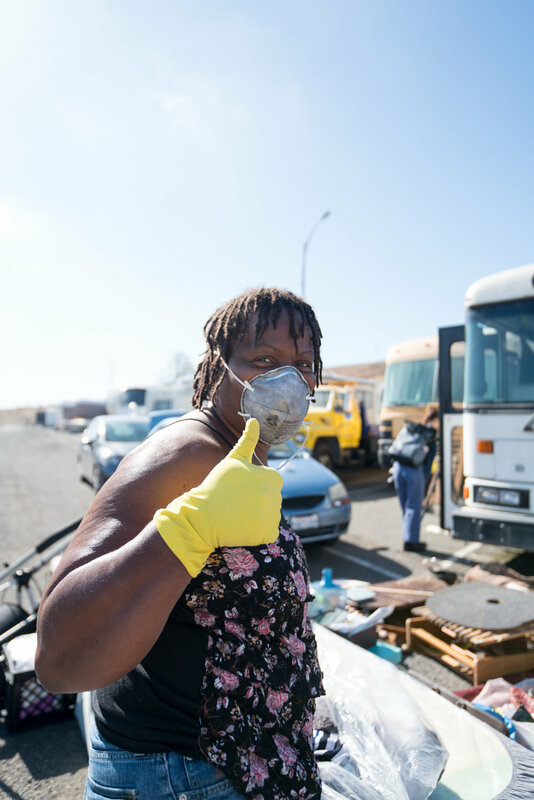 From lending a helping hand to those who lost their homes in the fire to sheltering people on the street from the hazardous air conditions outside, GRIP is focusing all of their energy and resources to helping its community members get through these trying times. Out of respect and sympathy for victims of the California wildfires and their urgent need for aid, THIMBY will be postponing our fundraising launch for a few weeks. We will, however, still be volunteering at GRIP’s Thanksgiving event this Thursday to help our community in any way that we can. If you are in the area (165 22nd Street, Richmond, CA 94801), please drop by to say hi and donate some of your time if you can! Check out GRIP’s Thanksgiving event here to learn more! With wildfires and other natural disasters becoming increasingly relevant and present in our lives due to the impacts of climate change, we at THIMBY are reminded just how important it is to build sustainable and affordable tiny homes for these communities-- not just to protect the people who live in them but also to be friendly to the environment these homes are placed in and help reduce our negative impact on the climate. At THIMBY, we hope that you all stay safe this Thanksgiving holiday. Limit the time you spend outdoors and if you need to go outside, please use a N95 mask. Take care of yourselves and everyone around you, and don’t forget to spend some quality time with your friends and family! If you’d like to sign up for our mailing list to get the most up-to-date notifications of our journey to build Constance’s bus, please fill out our form here. We’re finally coming back to reality after the amazing success of our first volunteer day! Thank you to everyone who came out and got their hands dirty clearing out Constance’s packed bus (and a big shout out to Shane’s girlfriend Delaney for bringing the best spread of healthy snacks to fuel us throughout the day!). In just a few short hours, we managed to not only remove everything stored in the bus, but also sort through and organize it all into piles to keep, throw away and donate. Additionally, we managed to scrub down the interior of the bus so that by the end of the day, it looked like a completely different space! Getting started cleaning and organizing everything in Constance’s bus! It was amazing to add so many new faces to our growing group at THIMBY! Billy showed us his amazing plant-filled bus, whose five solar panels will provide all the electric power necessary to build Constance’s bus! He immediately got to work measuring up the bus and finalizing all the design schematics to turn the bus into a home. It was also the first time for many of us at THIMBY to meet Constance and her family in person. Constance was so excited by all the enthusiasm we had for the project and at one point, stepped into the bus as we were cleaning it out and looked around it amazement. When we asked her what was wrong, she said that it was unbelievable to see her dreams finally becoming reality. David and Miracle kept everyone’s spirits high as they ran around, helping decide what to keep and throw away. David hard at work helping us to clean out the bus! Constance is so exciting for everything we’ve got planned for Thimby 2.0! 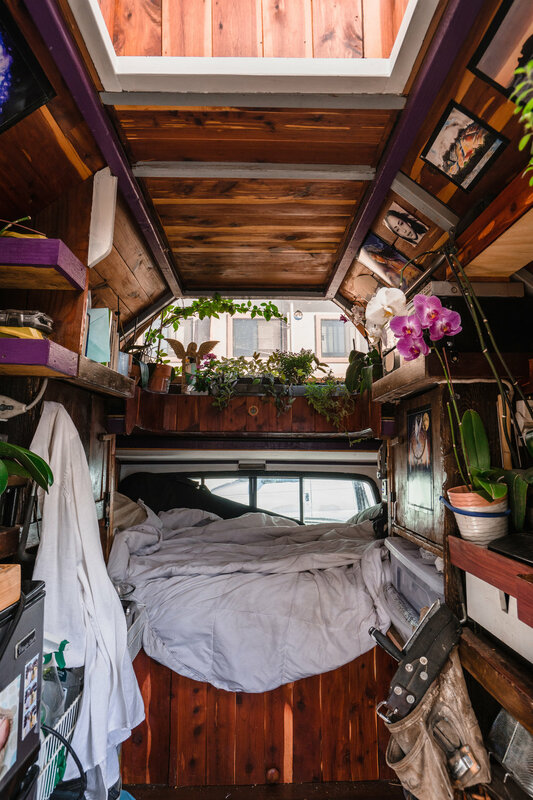 The inside of Billy’s beautiful plant-filled bus! This volunteer day really put our whole project and mission into perspective. I think that meeting everyone and seeing the joy and excitement on their faces really highlighted what this project means to so many people. Constance, David and Miracle aren’t just anonymous people who are victims of homelessness; they are real people with real stories and real lives who will really be affected by the outcome of THIMBY’s project. Though they continue to live their lives everyday and refuse to be bogged down or discouraged by their current situation, we can help create a stable environment for Constance and her family by turning their bus into a home. And if we are successful, THIMBY has the potential to deploy similar solutions in future projects and affect the lives of more than just one family in the Bay Area. Last Sunday was the important first step to get the ball rolling for Constance’s Bus. Clearing all the unnecessary things kept from her past fueled Constance’s, and all of us at THIMBY, excitement for the future as we start transforming the bus into a home! But, what’s next? In the coming weeks, we will begin putting in flooring for the bus to prepare for the launch of our fundraiser on Thanksgiving with Kathleen at GRIP. Stay tuned for more updates on all the exciting things we have planned in the coming months! Hey Folks! It’s probably been a while since you’ve heard from the Cal THIMBY group, but we are excited to update you all on our progress of the THIMBY 2 Project. After the Success of our first THIMBY tiny house project, we decided to apply all we learned to help those in need by building tiny houses for the homeless. Our current goal is to work with the city of Richmond, and the non-profit Greater Richmond Interfaith Program (GRIP) , to create a program that continues to build sustainable, high quality, low-cost tiny houses to be used as transitional-housing solutions. We’re hitting the ground running with our first Project, “Constance’s Bus” this semester, as we convert a bus into a sustainable tiny house for a family of three currently in desperate need of housing. While working with GRIP to find candidates for our first project, program director Kathleen Sullivan introduced us to some of her favorite residents of their transitional shelter; Constance, and her two kids, Miracle, and David. Constance and her family are simply inspiring. Even though they have been homeless, in and out of shelters and cars for the past two and a half years, every time you see them they are making everyone around them smile with their infectious laughter and gracious demeanor. 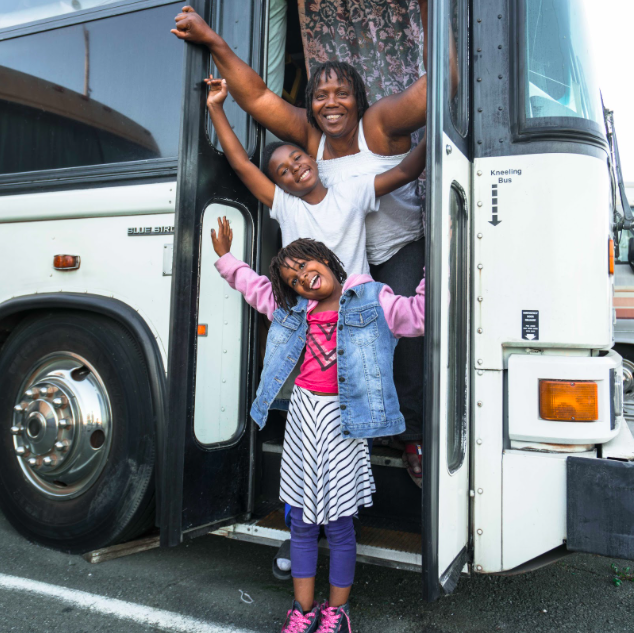 After a back injury prevented Constance from maintaining her job as a busdriver, she was unable to afford the rising Bay Area housing prices, and her family has been dealing with the hardships of homelessness ever since. Constance’s family only has 6 months left in their stay at a transitional shelter, and are in desperate need for housing as the kids continue their time in school. Fortunately, Constance owns a bus from her days as a busdriver, and dreams of transforming it into a beautiful tiny house for her family so she never has to worry about eviction again. Constance has been adamant about making her dream a reality, working tirelessly with GRIP until she connected with the THIMBY team. The second we met her, we felt her determination and galvanizing energy, and knew we had to do whatever we could to help her achieve her goal. THIMBY is in charge of all the design, planning, marketing, and coordination of the project. We are creating a media campaign leading up to a Thanksgiving day feast hosted at GRIP, where we will be launching a crowdfunding campaign for Constance. Meanwhile we are having volunteer work days every two weeks to prepare the bus for building, and get it into presentable shape for the Thanksgiving event. The build begins in December, on a site allocated by UC Berkeley. Professional Tiny House Builder William Burdock will be leading the building process using tools powered by his own solar powered mobile tiny house. With Billy’s incredible 2.5 Kilowatt Solar setup, and battery powered tool collection, we will be building Constance’s Bus with nearly 100% solar power. That’s right, Thimby 2.0 is using sustainable energy from sustainable tiny houses to build more sustainable tiny houses. Say that 3 times fast. Billy’s multi-purpose tinyhouse. 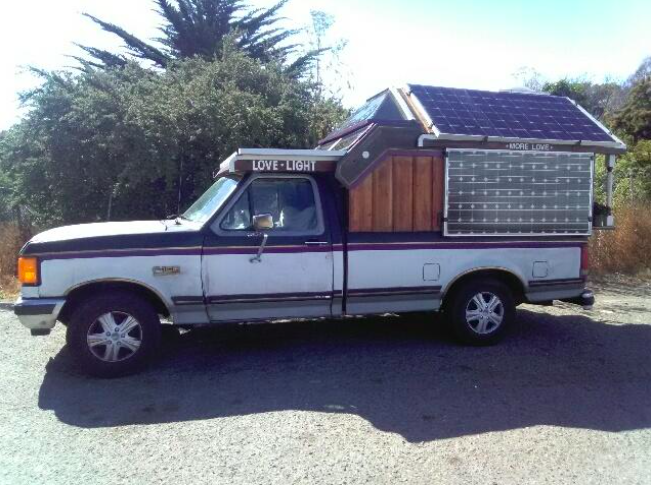 This solar powered rig doubles as a mobile working shop too. While piloting this first project, With the help of GRIP, Burdock will be training homeless volunteer staff, who will in turn help build and then become the recipients of our following tiny house projects. We plan to create a circular system of community based training and housing, where people in the community get to own their houses through sweat equity, and learn valuable skills along the way. Our plan is to finish Constance’s Bus by the end of January 2019, but Constance’s bus is just the beginning. For our following projects, we are partnering with the city of Richmond’s carpentry training program, Richmond Build. Richmond Build trains Richmond residents to become union carpenters in a 10 week training program, and they will be building the structures of our tiny houses as part of their program. After the structures are built, Billy and our student-run teams will be finishing off the plumbing, electrical, and furnishing. Since Richmond Build can create the structures efficiently with their training program, our plan is to build 2 to 3 more tiny houses in 2019, eventually building up to 5 tiny houses per year in 2020, while simultaneously housing and training many members of the homeless community. We have so much momentum but we need your help to kick off this project! On Sunday, October 14th, THIMBY will take a team of volunteers to clean out Constance’s bus to begin preparations for the renovation. If we get enough volunteers, we can get this done in a day, which allows us to begin building as soon as possible. If you’d like to participate in our volunteer day, please fill out the form below. We would love for you to be a part of our cause, help an incredible family in need, and help us build a program that keeps giving back. Fill out the form below to volunteer! Tracking the progress of the UC Berkeley team's submission to the Sacramento Municipal Utility District's 2016 Tiny Homes competition.